Andrew is a broadcast journalist-turned-author, living in Southern California, along with his Labrador Retrievers and a very bossy Jack Russell Terrier who thinks she owns the place. He was named one of the highest-grossing independent authors in the country when his total number of books sold pushed well past the six-figure mark. The Lion, the Lamb, the Hunted was on Amazon's Top 100 for more than one hundred days and went on to become a #1 international bestseller. 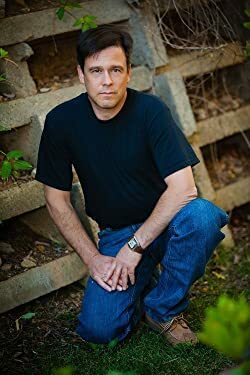 His first novel, While the Savage Sleeps, made the Top 100 as well and was number one in its genre, passing up two of Stephen King's current releases at the time. His success resulted in an international, dual publishing deal with Thomas & Mercer and 47North. Andrew is also a contributor to the Chicken Soup for the Soul books, where he's written about his battle against cancer and the subsequent struggle to become a recognized author. To find Andrew on Facebook, please visit: andrewekaufman@facebook.com. Please enter your email address and click the Follow button to follow Andrew E. Kaufman!